It’s that time of year again…time to ‘Spring forward’ an hour! 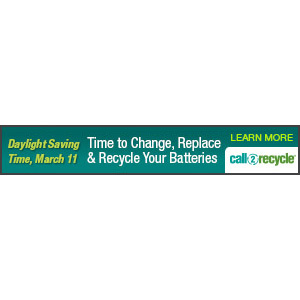 On March 11th, be sure to move your clocks forward an hour and while you’re doing that, replace and recycle your smoke and carbon monoxide detector batteries (and any other used batteries in your home or workplace!). What do I do with my old batteries? Great question! 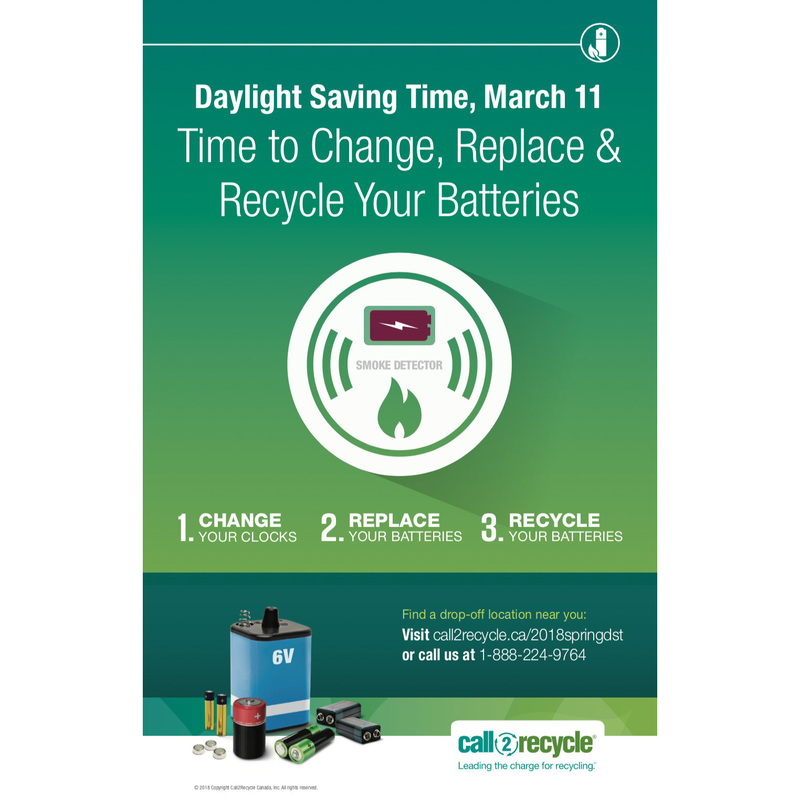 Once you’ve safely removed and replaced your old batteries in smoke, carbon monoxide detectors and any other electronics, think GREEN and recycle them. 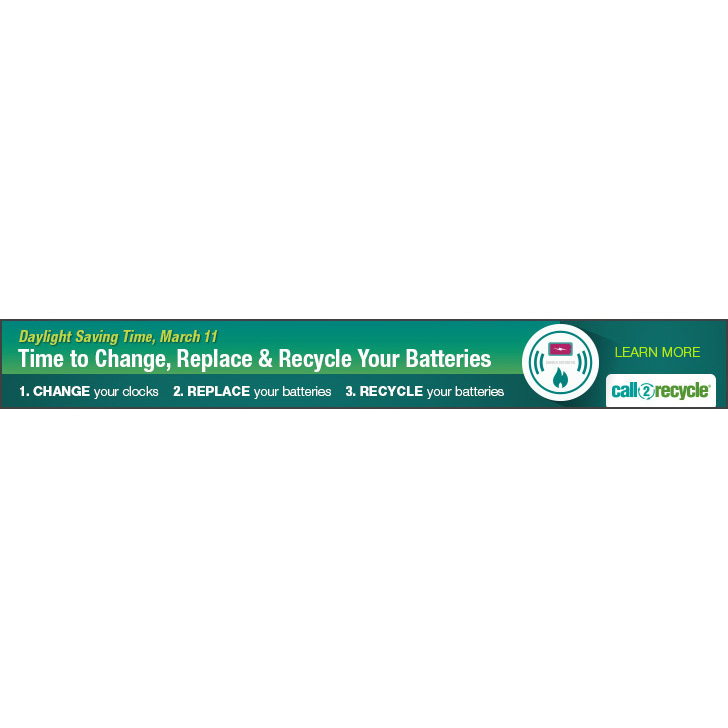 It’s easy to do – simply visit the Call2Recycle locator and find a convenient drop-off location near you. Spring into action by moving your clocks forward! 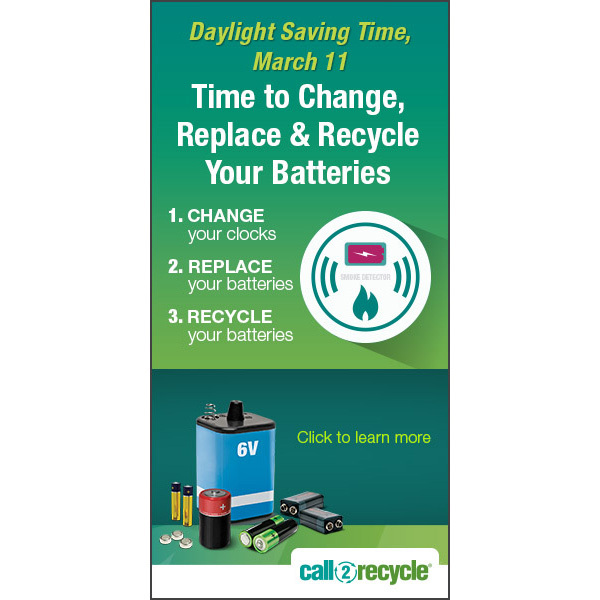 Engage in other activities like Spring Cleaning, which can help you declutter living spaces and locate used batteries to recycle, including those that may need changing from smoke and carbon monoxide detectors. 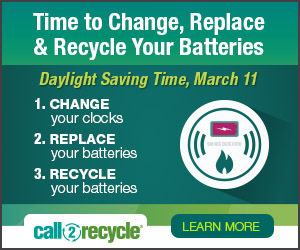 Make sure to test and change the batteries in all smoke alarms and carbon monoxide detectors frequently. This is important to keep your friends and family safe. Time to recycle! 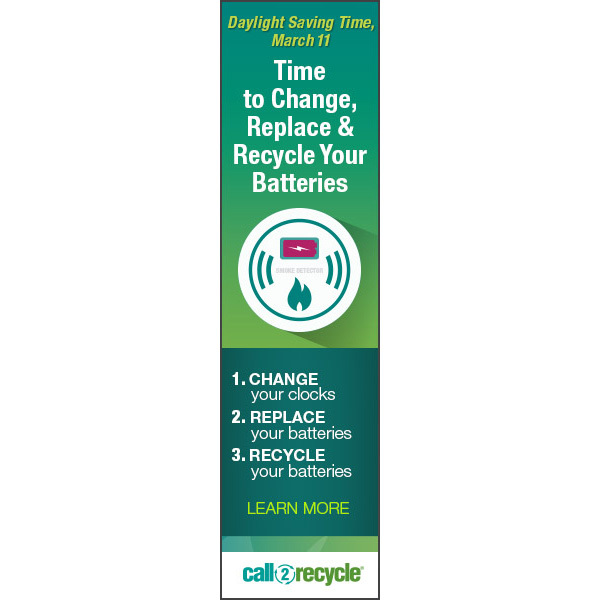 Used batteries from those detectors and other items like TV remotes, laptops, game consoles and power tools can be conveniently dropped-off using the Call2Recycle locator.